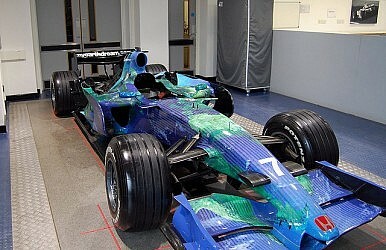 With Hyundai also considering involvement, Asia’s influence in Formula One could soon be greater than ever. Honda, one of the biggest names in the auto industry, looks set to return to Formula One in 2015 after leaving what qualify as Asia’s most glamorous sport in 2008. The Japanese have long had a love of motor racing and the Grand Prix is one of the oldest and best-loved races on the calendar. Despite the enthusiasm of the fans, and local giant Honda pulled out of the race five years ago in an effort to cut costs. Honda’s history with the sport dates back to the 1960s when it entered as a team in 1964 and raced until 1968 when it withdrew after the death of its driver, Jo Schlesser, who had been at the controls of an experimental car. The company later returned as an engine supplier to various teams. Its latest involvement started in 2000, when it provided engines to the BAR team which it part-owned. In 2006, Honda took full control and renamed the team. The company could be back working with the British racing team McLaren in 2015. The two had a great relationship between 1988 and 1992 when Honda’s engines powered McLaren cars to four titles. McLaren team principal Martin Whitmarsh talked recently of the present deal with Mercedes and while he said they would be working together in 2014, he left the door open for Honda the following year. "I can definitely say that we are with them [Mercedes] for some time, we have a contract and we have been talking about it for some time. We have a contract that covers the next three seasons at the moment and we will certainly go into next year with Mercedes-Benz." According to reports, however, Honda engineers are already working at McLaren. The recent change in Formula One which promotes the use of engines that are more environmentally friendly appeals to Honda because the technology can be transferred more easily to its commercial cars. Honda's head of R&D, Yoshiharu Yamamoto, said last October that there was a chance of a return if the conditions were right. "On a personal level I love racing, but there is a lot involved when you are in F1 – it is the very top of auto racing and that requires a large commitment," Yamamoto told Autocar. "But it is true that we do look up at those races and hope that one day we can take part again. "I do not personally think we can just go straight back immediately, but there is potential for the rules to change and attract us. I follow the rules, certainly, and if they present an opportunity then it would be nice to go back." At this point it looks to be a matter of “when”, not “if.” With Korean giant Hyundai long rumored to be considering getting involved in the sport, Asia's influence in Formula One could soon be greater than ever. The season has already begun with the first race taking place in Melbourne. It was an interesting start to the 2013 calendar. The race was won by Kimi Raikkonen of Finland.